Every year since 2013 the Qiansen Trophy cyclocross races in China have helped kick off the UCI cyclocross calendar. Applications are now open for riders to apply to race in China on September 1 and 7. This year’s Qiansen Trophy will feature UCI C1 races on September 1 and 7 in Aohan County and the Fengfeng District The races are open to all riders with a UCI license who are racing age 17 and over. 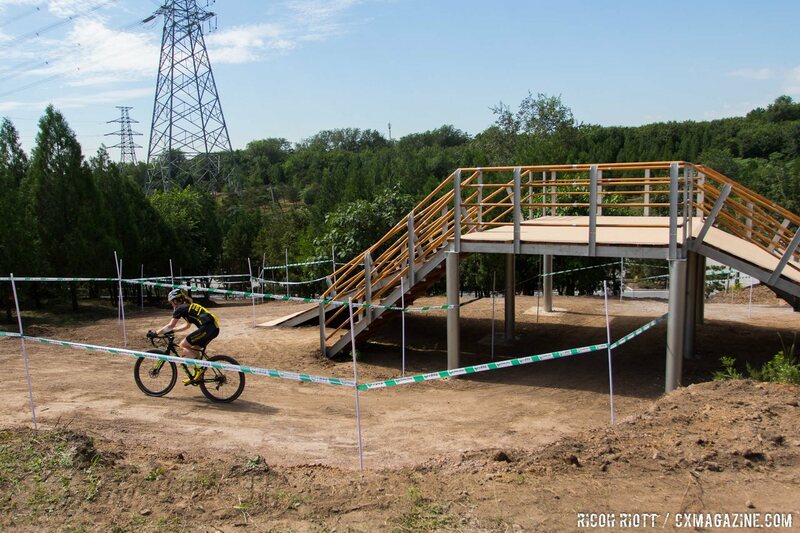 Admittedly, a trip to China to race cyclocross from the U.S. sounds daunting! Fortunately, part of the deal with the Qiansen Trophy is organizers help pay your way to race. Each rider accepted to race receives a travel voucher for a flight to the Beijing International Airport, and the race organizers provide lodging and food (minibar not included). We should probably note that Aohan is five hours north of Beijing and Fengfeng is five hours south, so a good deal of bus riding will also be part of the experience. Each year, a number of North American riders have participated in the Qiansen Trophy. Last year the Squid Squad, Bitchn Grit and 303 Project were among the teams that participated in the races. For more information about the 2019 Qiansen Trophy and how to apply, visit the event website.